Yewfield is situated at Hawkshead Hill, close to the famous Tarn Hows beauty spot, in 80 acres of private grounds with lovely walks from the doorstep. We offer vegetarian Bed & Breakfast and self catering accommodation. 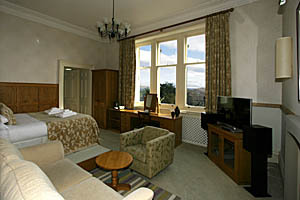 There are 15 superbly appointed bedrooms and three self catering studio apartments. Whether it’s a gentle stroll or a good hike to the high peaks, Yewfield offers many opportunities for exploring this unique area of Lakeland. The gardens provide a peaceful place to relax and enjoy the stunning views, or on cooler days, sit by the log fire in the lounge and catch up with a good book. The informal gardens comprise a patio garden of roses and perennials, vegetable gardens, wildflower lawns and an orchard of local apple and damson varieties. A network of paths leads through and around the gardens with benches placed in ideal locations, allowing you to take in the beautiful Lakeland views. We sell plants that we have raised ourselves, with the proceeds of the sales going back into the garden. The flowers and shrubs we grow are chosen especially to attract pollinating insects including Yewfield’s bees. We offer a continental vegetarian buffet including fresh fruits, muesli, cereals, home baked bread, yoghurt, preserves, including our own honey when available, coffee and teas. This is followed by a full cooked vegetarian breakfast with a choice of free range eggs cooked to order, baked tomatoes, fried mushrooms, vegan sausage and organic baked beans. 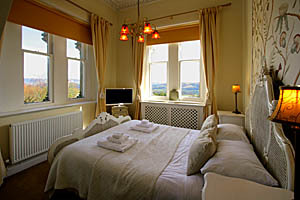 The fifteen bedrooms are appointed to a very high standard, some with en-suite bath and shower over or walk in shower. 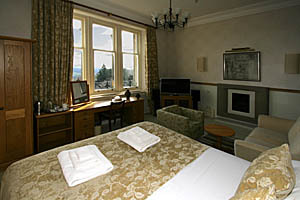 There are standard and superior rooms or luxury suites. All have tv, dvd, radio, tea making facilities. Many have wood panelling. The luxury suites offer outstanding views and have spacious lounge areas. 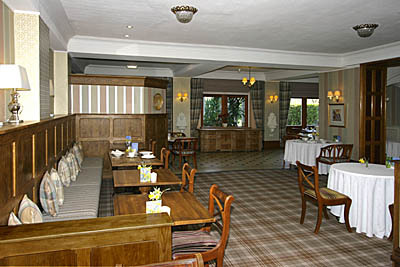 The three self catering units are situated next door to Yewfield in the old stable building. This is a wonderful location for those wishing for a quiet retreat with walks straight from the door onto Tarn Hows and the hills beyond. Swallows Nest is a delightful conversion of the top floor of this lovely old coaching house and offers comfortable accommodation for up to 4 people in picturesque rural surroundings. 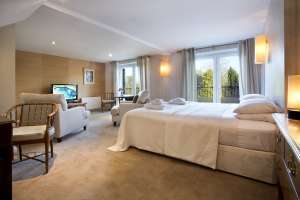 Mulberry is comfortable studio apartment which has recently undergone refurbishment and includes a king-size double bed which can be made as a twin with en-suite bath and shower. 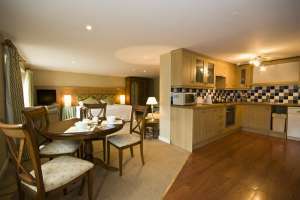 There is also a kitchen with open plan dining area ideal for 2 people allowing comfortable self-catering. 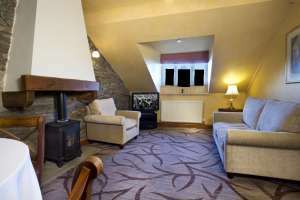 The cottage benefits from TV with DVD player and wireless internet access. 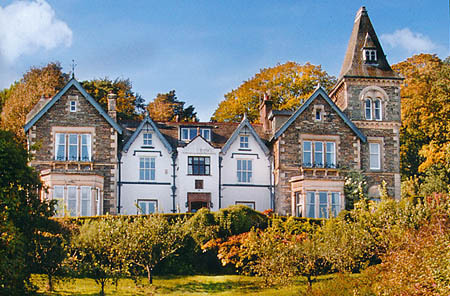 Yewtrees is luxury studio apartment, a wonderful place for a retreat for two. Available for weekly lets with short break possibilities at certain times of the year. For more information and Online Booking go to our website or phone Derek at 015394 36765.